NutriChef’s electric griddle features an easy-serve pan style griddle plate. It is compact, quick & convenient cooktop with a hassle-free plug-in operation. 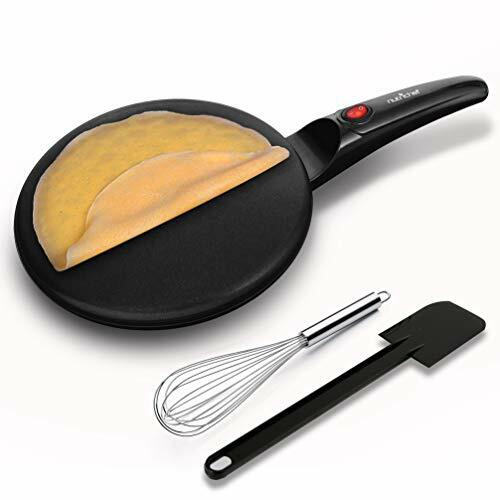 It’s also non-stick coated, with high-powered heating element and a power on/off switch. Can cook crepes, eggs and waffles at a fast pace for daily hectic schedules. Perfect for any countertop, tabletop and kitchen.